17thc Slpware Pipkin Cooking Jug . Dutch. C1656-57. A rare and desirable survival from the 17thc, this early cooking vessel known as a "Pipkin" was used on the down-hearth next to the fire. 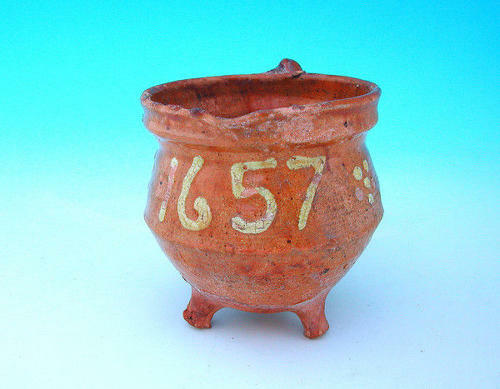 It is made from red clay and is decorated in slip with the date 1657.